Starting a new home renovation is both exciting and scary. On one hand, you can’t wait to enjoy your newly remodeled space, and on the other hand, you know it is going to take some time and money to get there. Whether you’re preparing for your first renovation or you’re a renovation veteran, there can always be unexpected twists and turns once a project is underway. The best way to avoid unnecessary stress and headaches during a remodeling project is to prepare and cope as best you can before, during, and after the job. In case you need a little guidance, here are some tips on how to survive your next renovation! 1. Mentally Prepare Yourself: Remind yourself upfront that a renovation in your home is going to cause some inconvenience and messiness in your everyday routine. You have to remind yourself to keep your eye on the prize. Take some “before” photos so that you can track the progress once the renovation is underway. As the remodeling project progresses, return to your inspiration boards and remind yourself how beautiful and exciting the outcome will be. 2. Designate Space and Keep Your Home Safe: During a renovation there will likely be a decent number of craftsmen in and out of your house on an almost daily basis. Before they “move in,” be sure to map out designated spaces where they can park, enter and exit your home, store tools, use the restroom, eat, or smoke. You should also ensure the safety of your home during a renovation by protecting your belongings and marking certain spaces as off limits for your family’s privacy. Finally, know where your keys are. The craftsmen working on your remodeling project may need a key to your home unless you plan to be present at your residence for the entirety of the renovation. Be sure to keep track of your keys by designating a place for them. 3. Special Tips for Kitchen Remodeling: A kitchen renovation can often be the most disruptive to your family’s routine. However, you don’t have jeopardize your family’s health and wellbeing if you take some measures before the project begins. First, make and freeze some meals ahead of time. Next, set up a makeshift kitchen somewhere else in the house using appliances like your toaster, coffeemaker, crockpot, electric skillet, or microwave (if possible). You should also arrange a place to wash dishes, such as a bathroom sink, utility sink, bathtub, or the awesome DIY farmhouse sink pictured, courtesy of blogger Pretty Handy Girl. Finally, remember to take advantage of your grill and enjoy some time outdoors! 1. Keep Waste in its Place: It’s near impossible to avoid a mess during the process of a remodeling project. There is going to be excess trash during any renovation. Keeping up with waste removal on a daily basis will help to alleviate the disruption of your everyday lives during the project. Work with your craftsmen to arrange trash removal logistics so that everyone is on the same page. 2. Maintain Good Ventilation: Your family’s health and safety is the top priority during a renovation. No matter what the project, there will likely be excess dust, fumes, or airborne things of that nature that could trigger allergies or other reactions. If weather permits, air your home out daily by opening doors and windows, particularly those central to the location of the remodeling project. You could also budget in the purchase or rental of industrial fans to promote air circulation during your renovation. 3. Get Out of the House: This may be the most important tip on how to survive your next renovation. Spending too much time at your home while a project is underway may only create unnecessary stress and frustration. If possible, plan a night or two at a friend or family member’s home or at a hotel during the most intense points in the remodel. Send your kids to a sleepover and enjoy a night out with your spouse. Everyone could use a fun and relaxing break from the bustle of the project! Overall, spend more time outdoors, if weather permits. 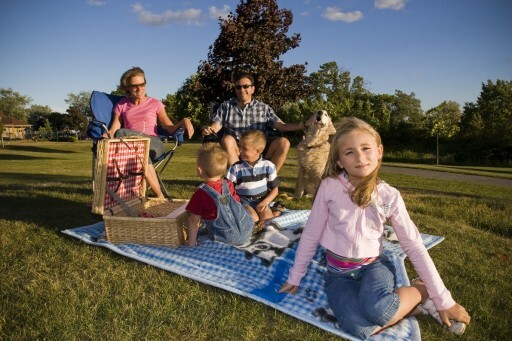 The activities and fresh air will leave your family renewed and energized. 1. Clean Your Home Thoroughly: This one may be a no-brainer. The minute the craftsmen wrap up the project you may be itching to clean your home top to bottom. While you’re vacuuming and scrubbing away, consider bigger cleaning measures like changing the air filters in your home. Things like this will ensure the air quality in your home is back to being top notch! 2. A Place for Everything and Everything in its Place: This tip might be another no-brainer. Once the renovation is finished and the cleaning is complete, it’s time to get your home back in order! First, properly store any personal tools that may have been used during the job. Then inventory and return any displaced items or furniture to its proper place. Things are finally starting to take shape – you’re almost there! 3. Enjoy Your New Space and Celebrate: After completing a home renovation, you have plenty of reasons to celebrate. After you decorate your newly renovated space, host a reveal! What better excuse do you need to gather friends and family for a fun weekend lunch or festive dinner party? You will feel great showcasing your beautiful new space, and everyone else will enjoy celebrating the accomplishment with you. So, what are you waiting for? Spring is the perfect season to start a home renovation because the warm weather allows you to properly ventilate and adequately escape your home when you need a break from the chaos. 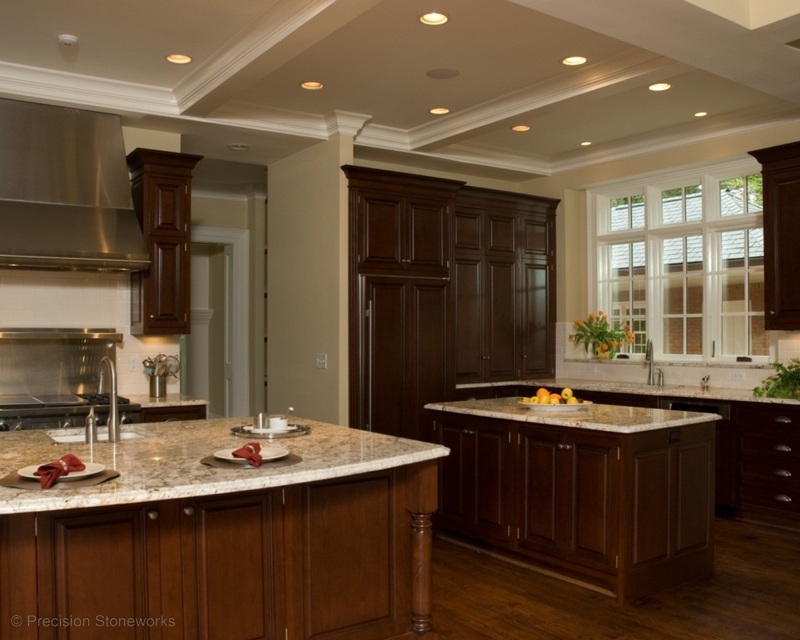 If you’re considering a kitchen, bathroom, or other remodeling project that involves granite, marble, or other natural stone, contact us at Precision Stoneworks. We’re dedicated to quality and attention to detail in every project, and will do our best to make your next renovation as smooth and stress free as possible. Learn more about our process today! Thank you for mentioning how you should take the time to understand the inconvenience of renovations when planning for one. It is important to remember that consulting with a professional can make this inconvenience less troublesome and make sure you get the results you need. We are planning on renovating our kitchen and want to make sure we get the quality materials we need in order to increase the value of our home. I really liked how you mentioned, to maintain good ventilation while doing a remodel. It is true that the remodel will create excess dust, fumes, and other airborne things. I really do want to keep my family safe during the remodel. We will have to make sure that we keep the air flowing well. These are good tips and as someone in the renovation industry I know what it’s like! Any home owner can’t go wrong following these. I like how you suggested cleaning your home thoroughly before renovating. We are planning on renovating our bathroom this spring. Thanks for the tips on how to prepare for your next home renovation. Thanks for this. I had no idea how we were going to get through this remodel. I had hardly thought about the debris and garbage it would make! Thanks for that tip about daily waste removal. I would have just left it around! We are going to start remodeling one of our bathrooms. I really liked what you said about spending too much time in the house during the renovation can cause a lot of unnecessary stress and frustration. We’ll look for a place to stay so that we don’t stress out our girls or ourselves too much. Thanks for bringing to my attention the value of having good ventilation to keep dust or fumes from causing problems for your family. My husband and I are going to be renovating our kitchen, and there’s going to be a fair amount of demolition going on. We don’t want our daughter to have problems with her asthma being triggered due to dust, so maybe we should talk to the contractors we end up hiring to see if they can set up tarps or plastic sheets or something to keep the dust contained to the kitchen. You make a good point that there will always be a bit of a mess, so you should talk with your craftsmen to figure out trash removal logistics. My husband and I want to completely remodel our first and second floor, and we’ll be living in the basement throughout the whole process. We’ll have to find a contractor who’ll work with us to get us what we would like and figure out the best way to take care of the trash. I like that idea to map spaces for contractors to park and enter your home. You want them to be able to do their job. Remember, a renovation can add equity to your home.